As parents of young children, we struggle weekly to keep our children attentive to the Mass in a reverent, age appropriate manner. 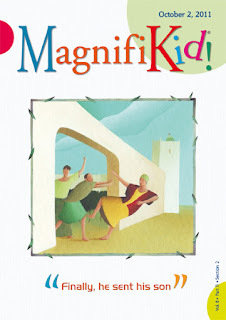 Late last year I discovered MagnifiKid!, a weekly spiritual guide and missal for elementary age kids from the Magnificat family. Containing the Sunday readings and prayers of the Mass, this 16-page full color booklet engages my 8 year old son and 5 year old daughter during Mass. With easy to follow color-coded speaking parts reflected in the missal, they follow along intently, always surprised to find the booklet containing almost word for word the contents of our Mass. I absolutely love that my children are focused more attentively at Mass by following the missal. Reading the words, rather than mumbling along, and having explanations, highlights and definitions at their fingertips gives them a greater depth of understanding as they participate more fully in the life of the Church. 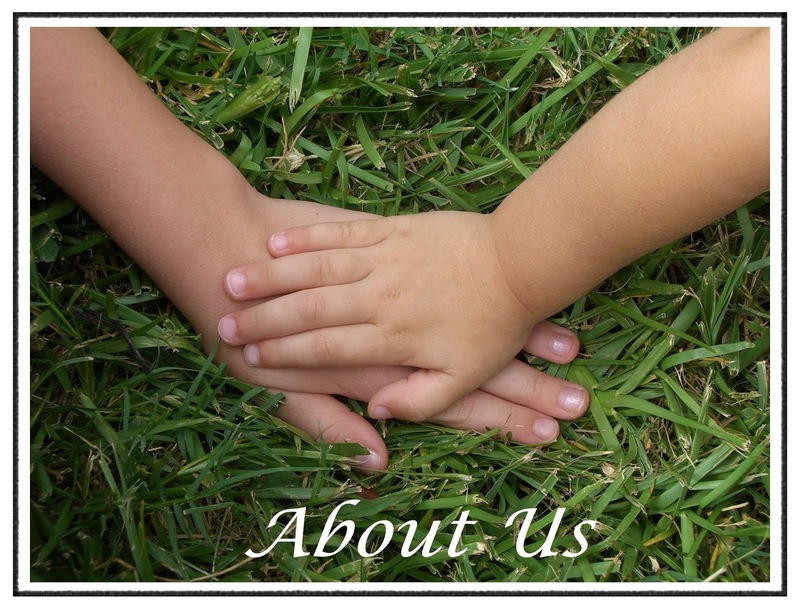 The creators of MagnifiKid! have placed games, crafts, a comic and activities in each copy to help children learn about Christian life, culture, and meaning of the Mass. We commonly use the morning and evening prayers in the booklet, based on Liturgy of the Hours, as our family prayers to start and end the day. 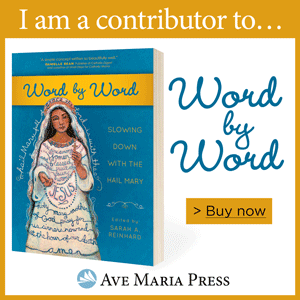 The activities in each copy are short and focused on the liturgical readings for the week. On the pages with the missal and readings, the editors include explanations of difficult words and an insight into the meaning of many Mass rituals. My only problem with MagnifiKid! is I have one subscription, and two kids who love it. I foresee a second yearly subscription arriving soon in my mailbox. MagnifiKid! 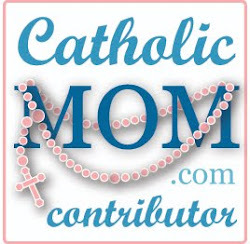 is an essential aid for my younger kids that faithfully engages them at Sunday Mass and supports them living out their Catholic faith during the week.